A bare knuckles political race to fill an empty seat in the Washington State Senate – potentially shifting control from Republicans to Democrats – is drawing some big money from the gun prohibition lobby and essentially puts the lie to a perennial claim by anti-gunners that the National Rifle Association buys elections. The court said the remainder of the plaintiffs in this case lack standing because no criminal charges have been filed. But Alan Gottlieb, founder and executive vice president of the Second Amendment Foundation said nobody should have to face criminal charges simply to challenge an unjust law. Meanwhile, according to the PDC, the Alliance has also spent $5,285.95 to defeat Dhingra’s opponent, Republican Jinyoung Englund. Now, compare all that money to what gun rights groups have spent. The Gun Owners Action League of Washington has contributed a comparatively small amount of $2,073.74 to Englund’s campaign, and the NRA are essentially pikers, contributing $125 to the Englund campaign and spending $375 against Dhingra. What’s all this about? It looks like millions of dollars are being spent on a race for a position that pays peanuts by comparison. The Seattle P-I.com’s political columnist Joel Connelly also reports that anti-gun billionaire Michael Bloomberg has kicked in some big money. “Englund makes a persuasive case that her election will preserve a ‘balance of government’ that will better serve Washington state. For that reason, voters in the 45th should elect her. 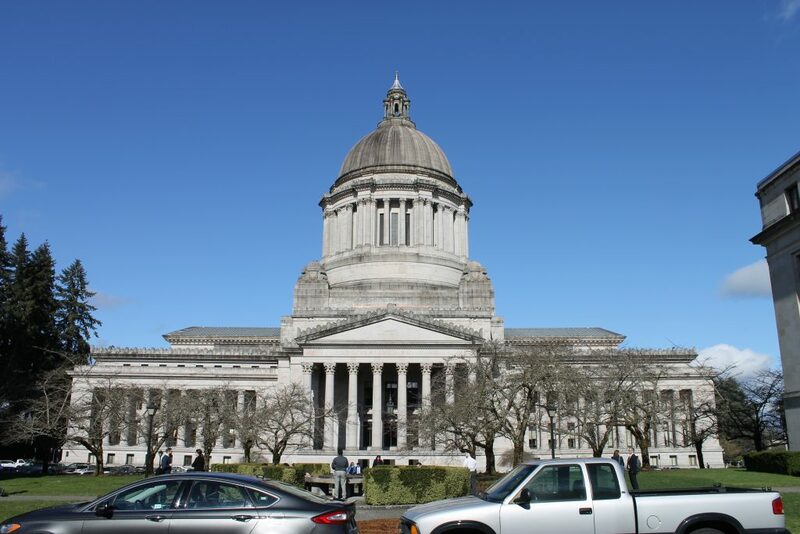 “In 2012, had three Democratic senators not crossed the aisle to join Republicans in wresting control from the Democrats, Washington state would be in much worse shape. Case in point is the four-year budget rule. Requiring the state budget to be balanced over four years limits the ability of free-spending lawmakers to use gimmicks to balance the budget. Second Amendment activists say it’s a safe bet that another target of a Democratic majority will be their gun rights. Gun prohibitionists are eager to erode the rights of law-abiding Evergreen State gun owners. They’ve passed two initiatives already, and may have their sights set on other efforts. They don’t care for the state’s “shall issue” concealed carry law, under which about 590,000 concealed pistol licenses have been issued, and they want desperately to undo state preemption, which has been the law since 1983. They evidently believe that by putting Dhingra in the Senate, they will have an open road to do all of this.